Ever since Apple’s confession of using software updates to slow down iPhones, many Android manufacturers have been trying to cash in on the opportunity, claiming that they don’t slow down phones like Apple. Only yesterday, Motorola and HTC confirmed that they do not slow down phones with degrading batteries. 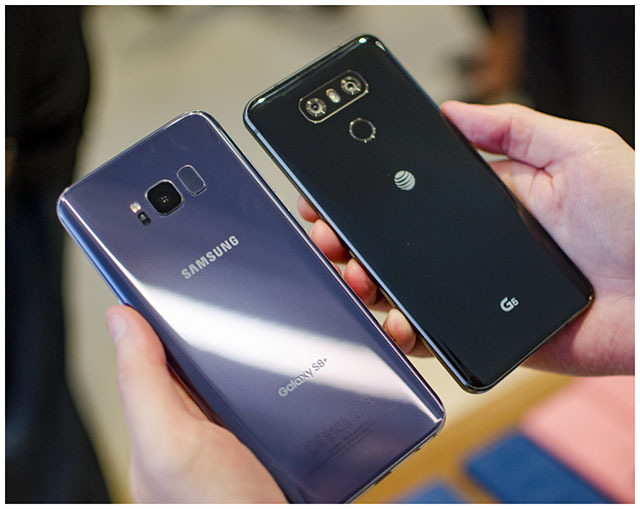 And now, two other major manufacturers – LG and Samsung – have justified their stands on the issue to PhoneArena, claiming that they value customers’ sentiments and abstain from bringing about major changes without informing the users. In an e-mail to PhoneArena, LG vocally committed to having never slowed down processors of aging smartphones and vowed to never do so. LG Electronics Inc.: Never have, never will! We care what our customers think. Meanwhile, Samsung also maintained that it does not fiddle with CPU performance to mitigate the effects of aging battery, one of the primary reasons Apple claims to have throttled old iPhones. It, however, claimed to optimize the health of old batteries with the help of software changes that keep a close check on the battery condition while charging and discharging. Samsung Electronics Co. Ltd.: Product quality has been and will always be Samsung Mobile’s top priority. We ensure extended battery life of Samsung mobile devices through multi-layer safety measures, which include software algorithms that govern the battery charging current and charging duration. We do not reduce CPU performance through software updates over the lifecycles of the phone. More than this controversy over intentional slowing down of iPhones, what has hurt Apple’s reputation is the fact that it did so without informing its customers. To pacify aching customers, Apple has apologized for its ploy and offered to compensate its customers by lowering down the battery replacement cost from $79 to $29. The company has already outlined detailed reasons for their decision, clearly laying out which processes will and which ones will not be affected by the slowdown and has promised a software update to make battery health more visible for users.